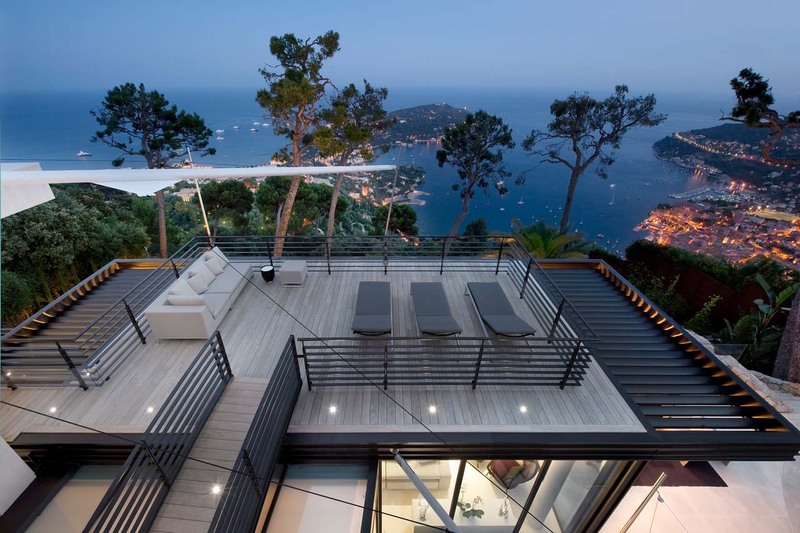 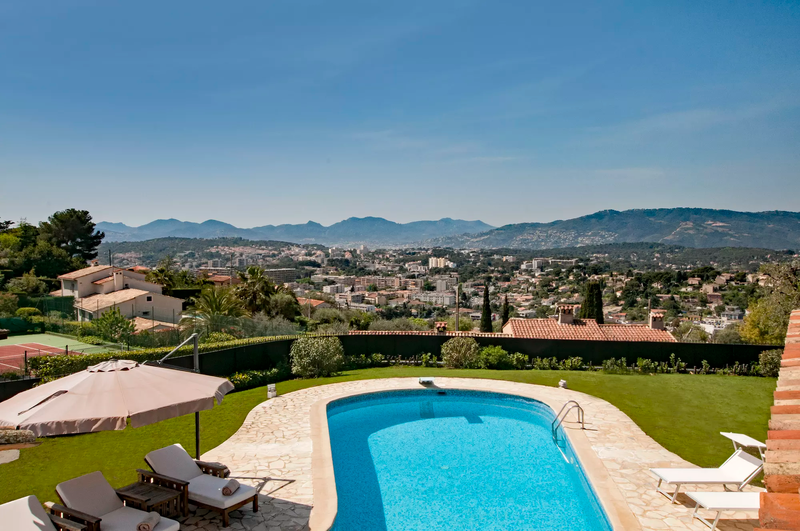 Exclusive hilltop villa near Cannes – Set on a hilltop in a residential area on the edge of Mougins. 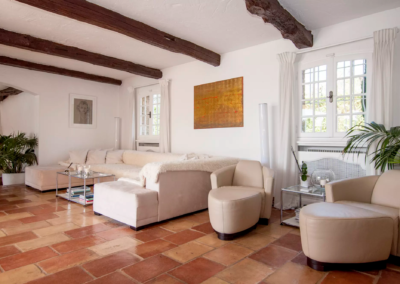 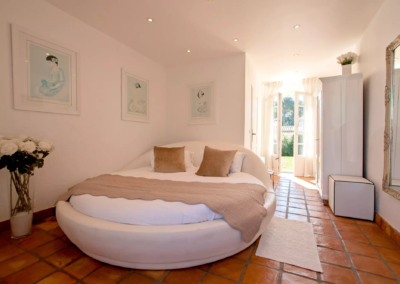 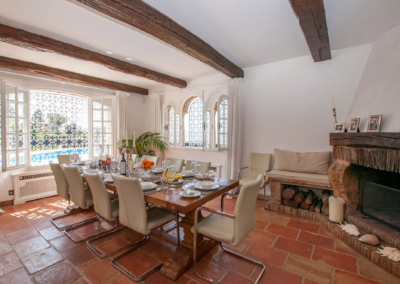 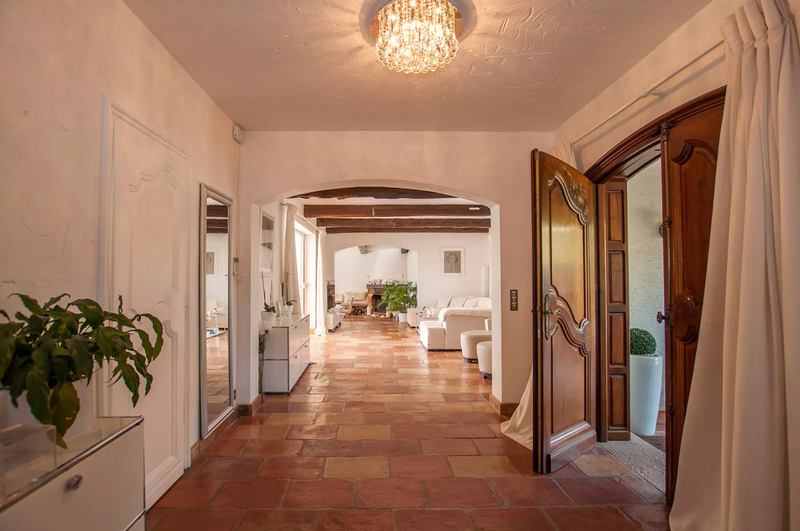 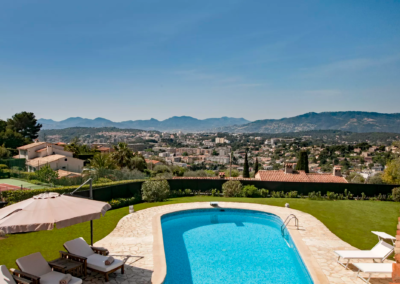 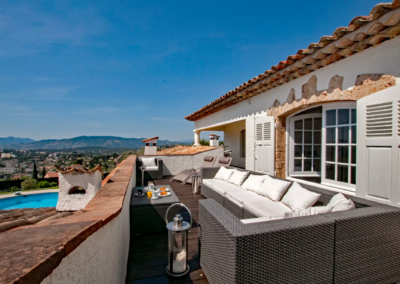 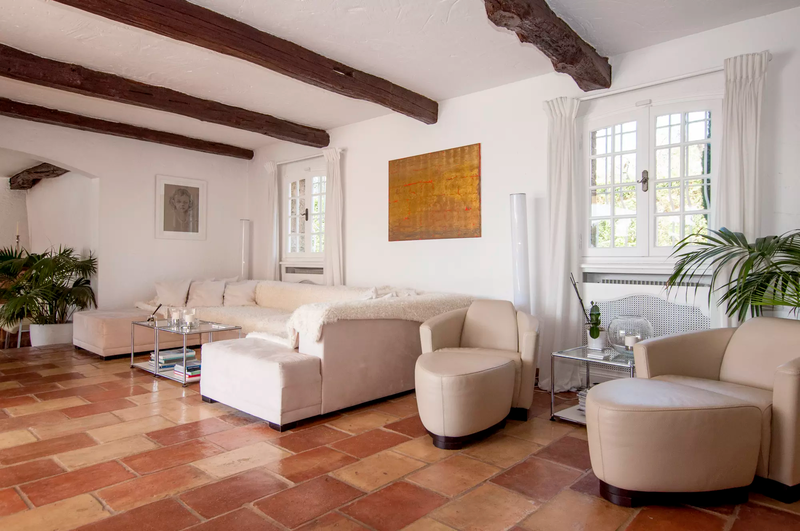 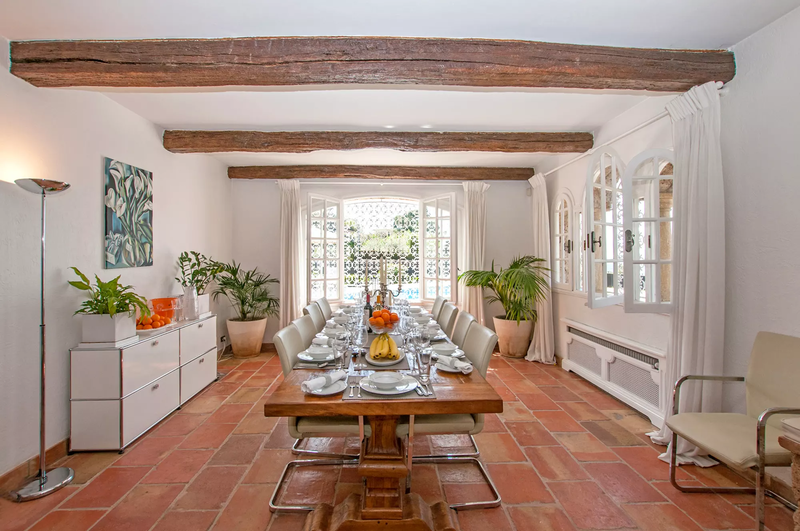 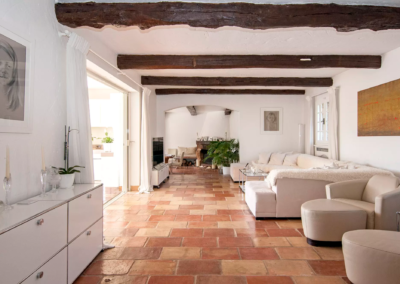 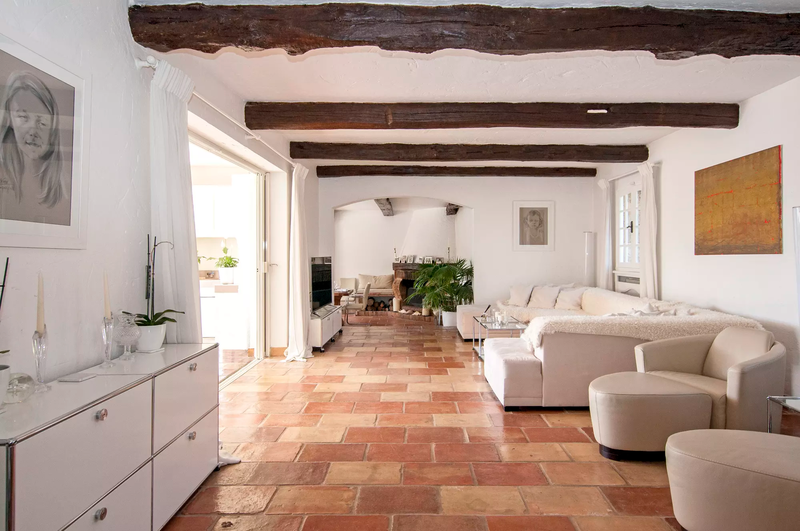 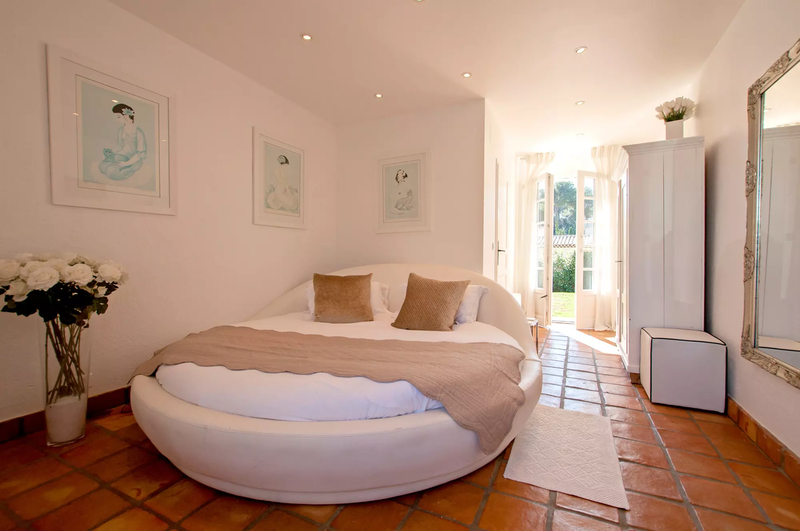 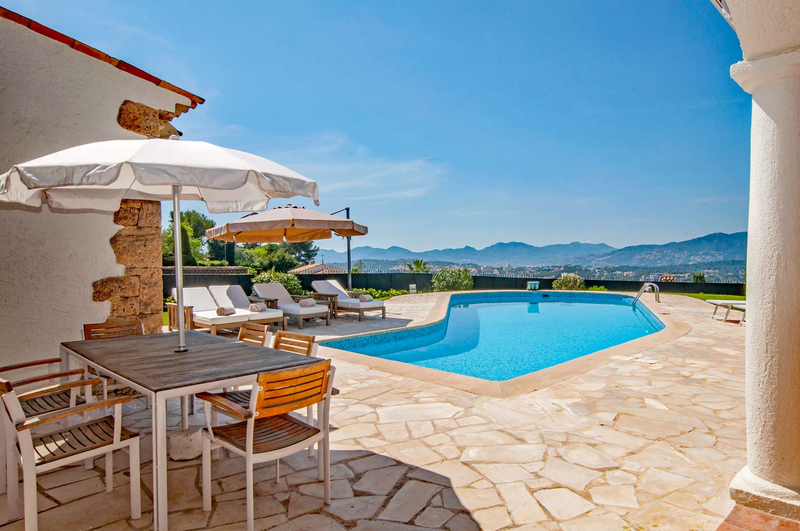 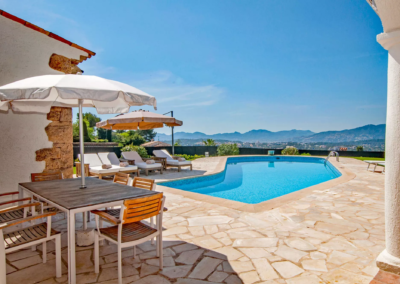 This luxury villa with heated pool and tennis court commands far reaching views over the Esterel mountains, Cannes and its splendid bay,only a short drive away & with easy access to La Provencale route you can explore all of the French Riviera. 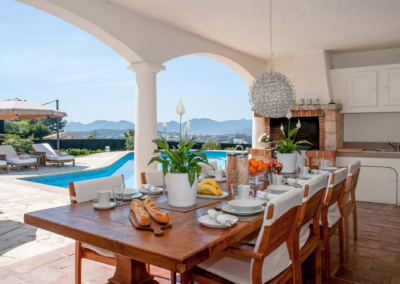 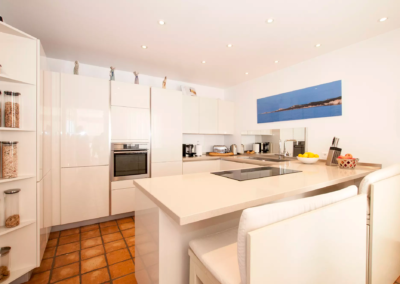 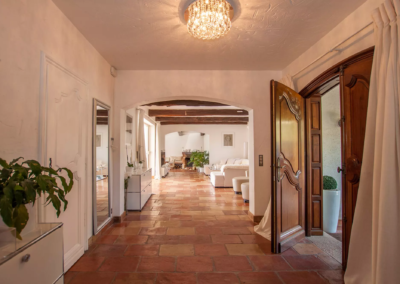 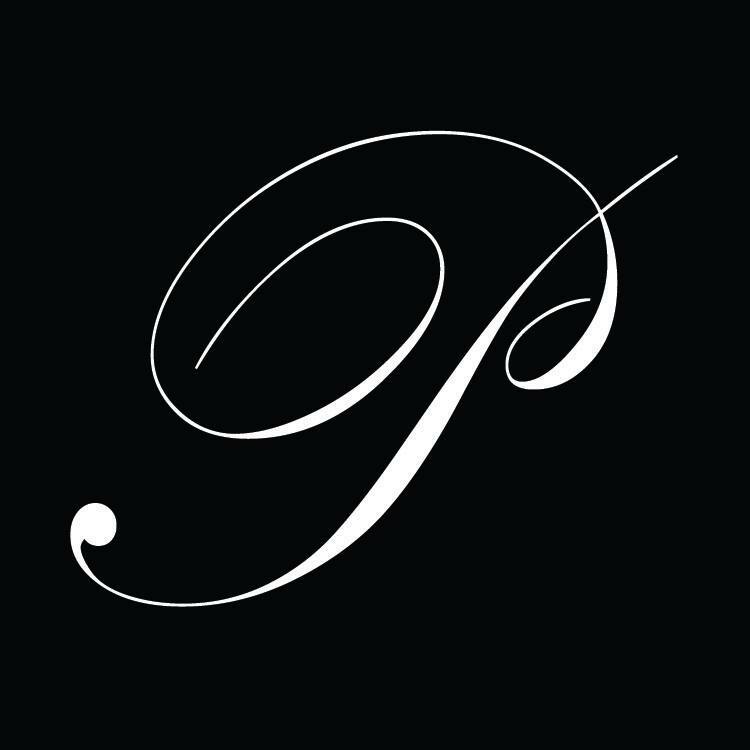 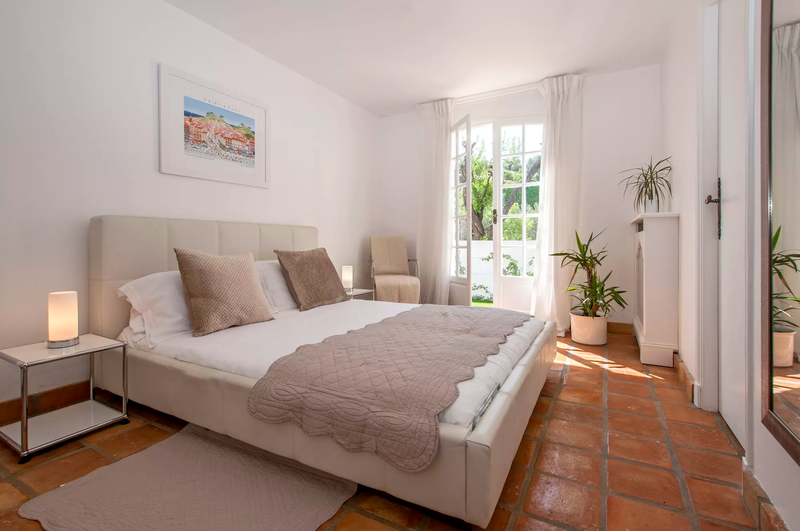 Elegant and sophisticated, this property has been recently renovated with the addition of all modern comforts to suit the ultimate holiday requirement. 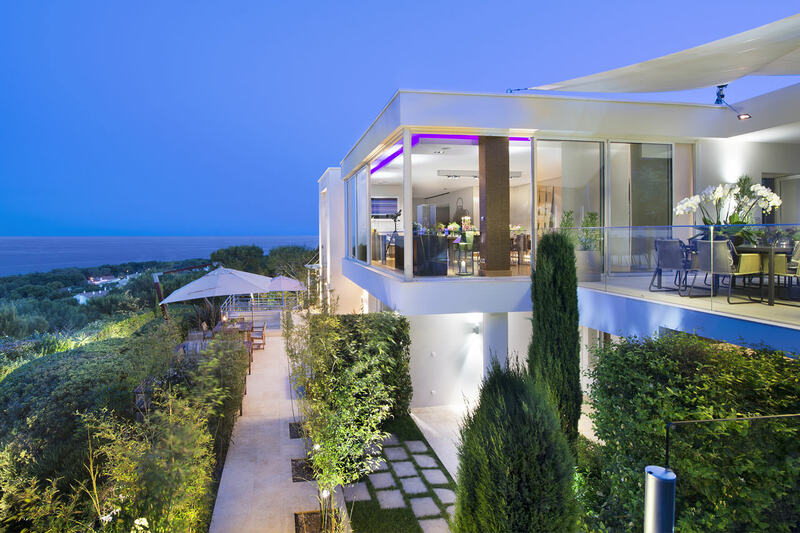 The spacious interior is decorated with a blend of neutral colours creating a clam, relaxing environment which extends outside to provide an ideal setting in which to unwind, surrounded by an inspiring panorama. 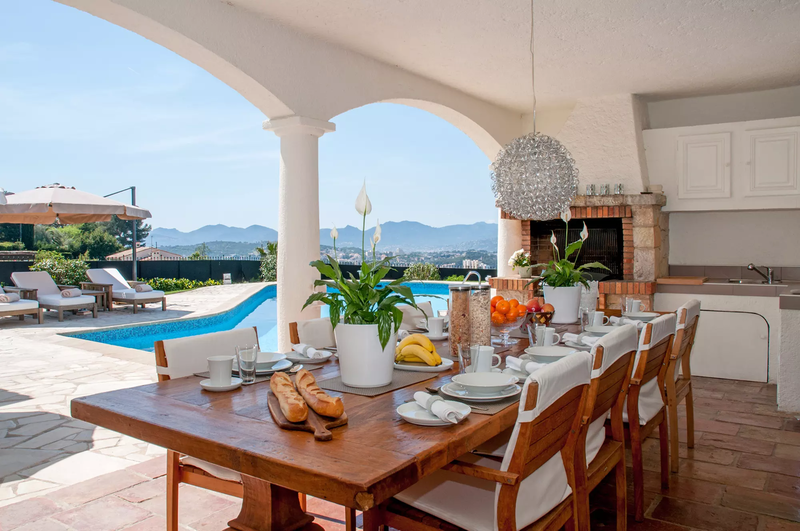 For an energizing start to the day, try out the gym, followed by a swim in the pool. 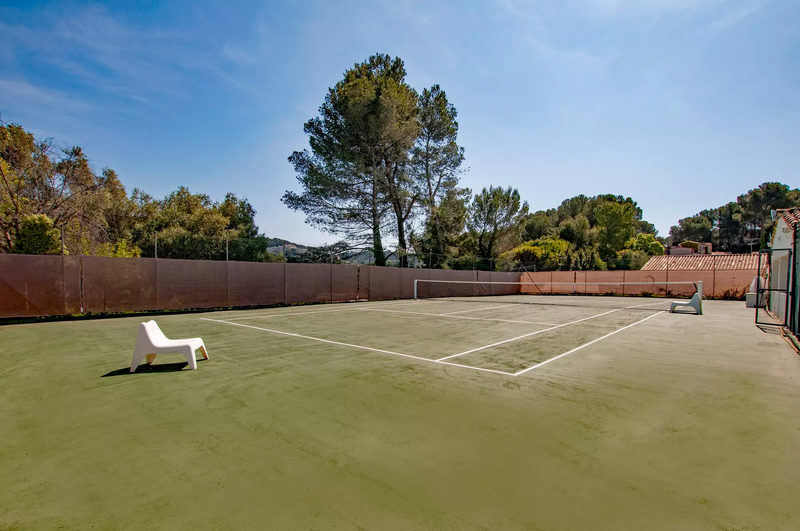 Alternatively, before the sun gets too hot, you can challenge other members of your party to a tennis match on the private court. 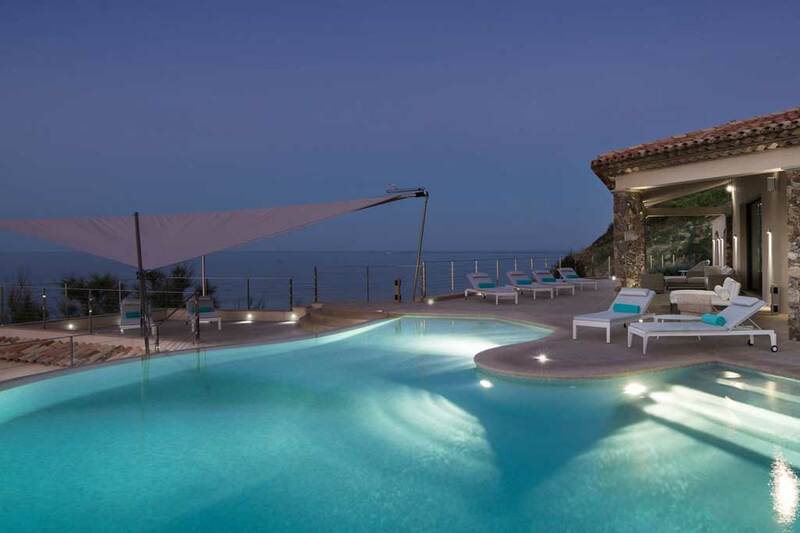 The Mediterranean sea is very close at hand for the opportunity to try out all sorts of water sports or simply enjoy the sunshine. 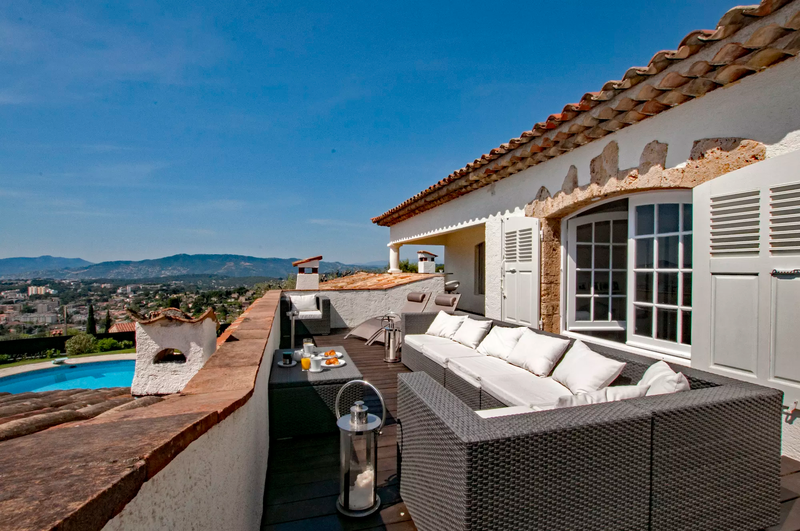 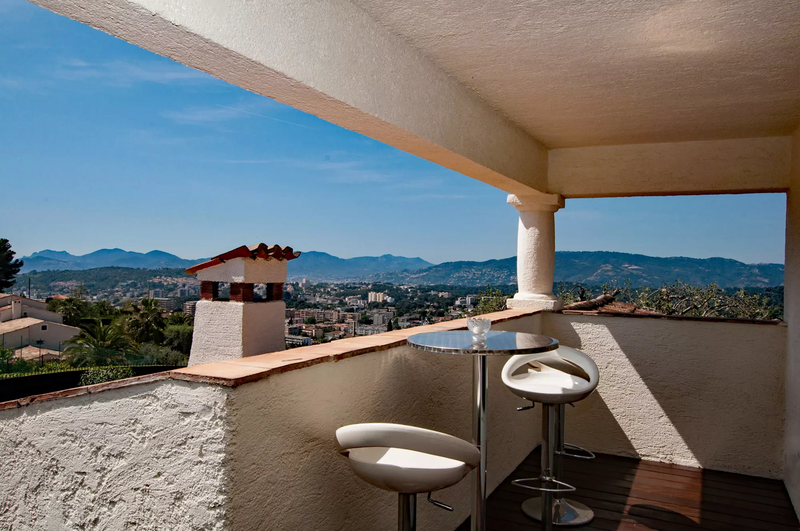 At sunset, why not take a stroll along the beautiful promenades of Cannes or Juan-les-Pins, or by the picturesque harbour in Antibes to experience the Cote d’Azur’s timeless appeal. 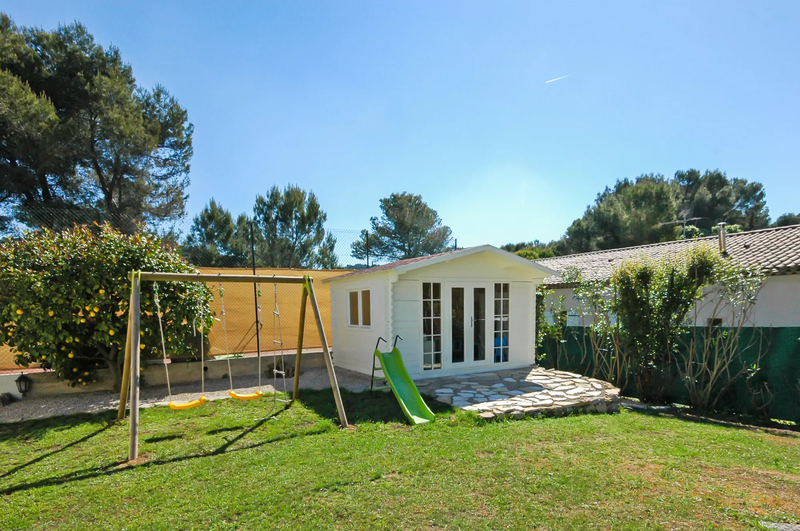 Kids will be more attracted by places such as Marineland in Antibes, an interactive sea life themed park showcasing sharks, killer whales, dolphins, flamingos, rays and even polar bears! 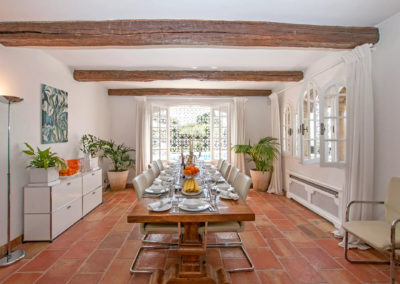 Large Living and dining area, with open fireplace (TV) and large French doors to covered terrace, outdoor dining facilities, Plancha grill. 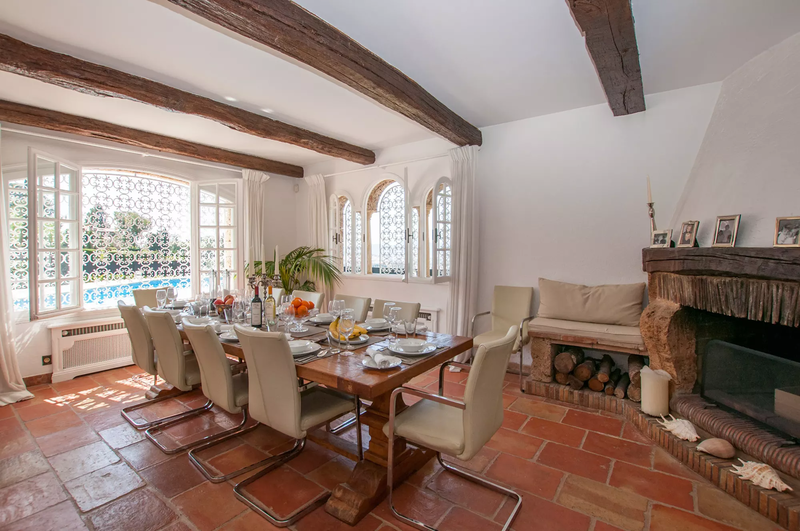 Kitchen/ breakfast room, French door to covered terrace. 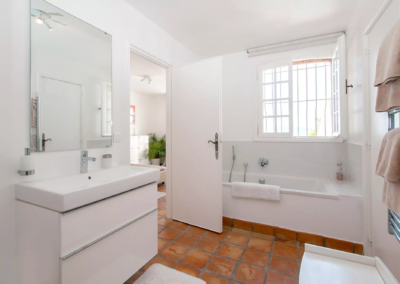 2 x double bedrooms (1.60m and 1.40m), French door to pool area. 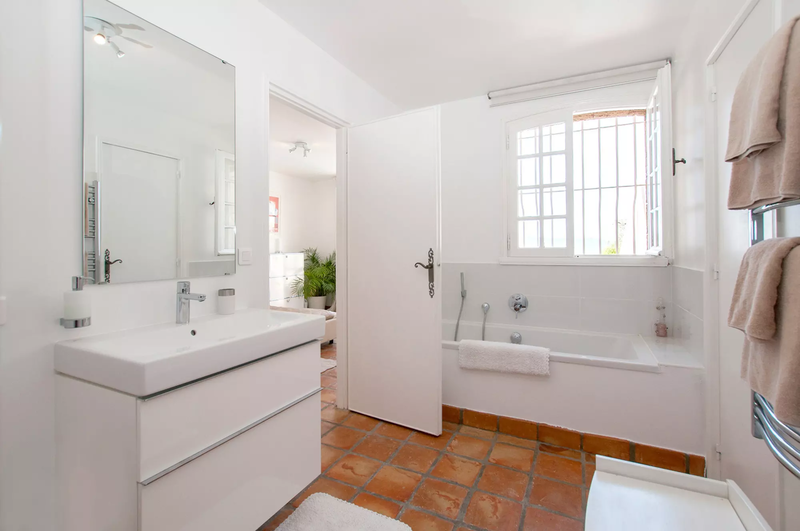 Double bedroom (1.60m), French door to garden, ensuite shower room, WC. 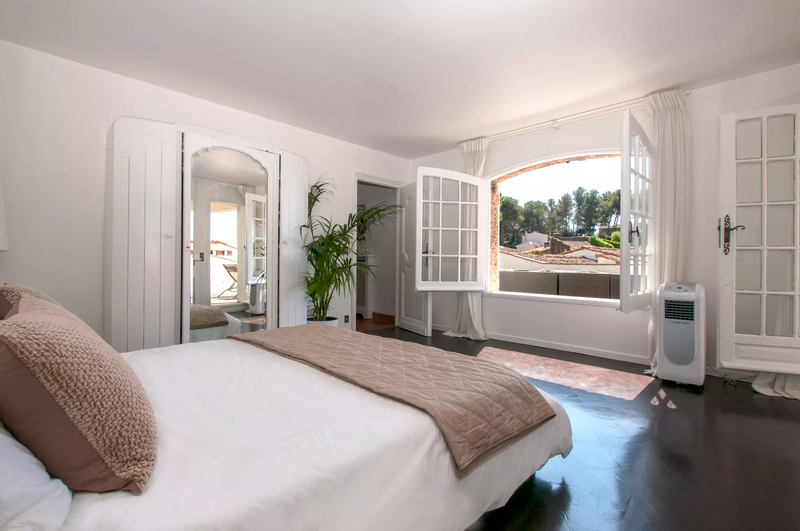 Twin/ double bedroom (2 x 0.90m), French door to garden. 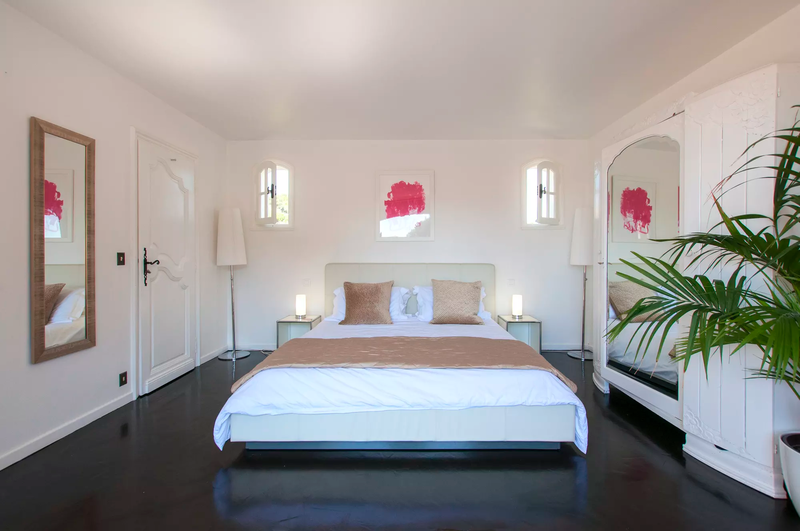 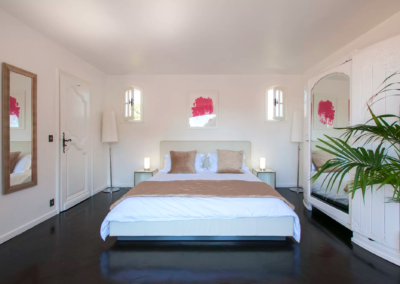 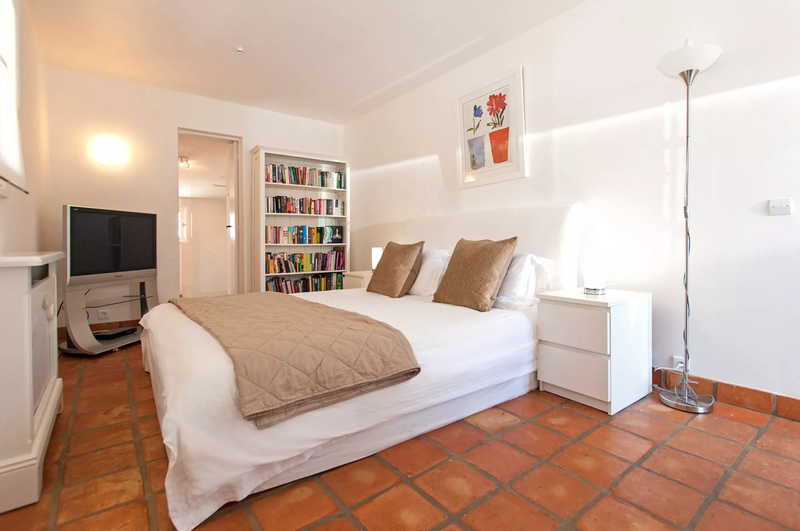 Double bedroom (circular bed 2.0m in dimension), 2 x French doors to garden, ensuite shower room, WC. 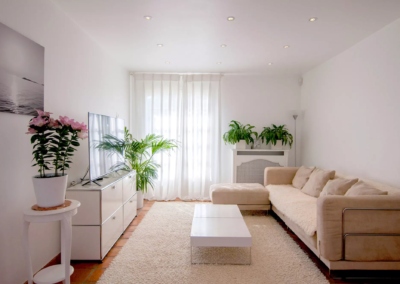 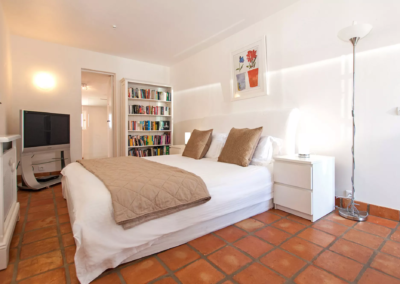 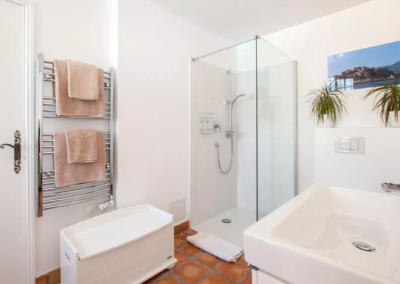 Master double bedroom (1.80m), (TV) French door to private terrace with low wall and access to roof – take care with young children – views, ensuite bathroom, shower, WC. 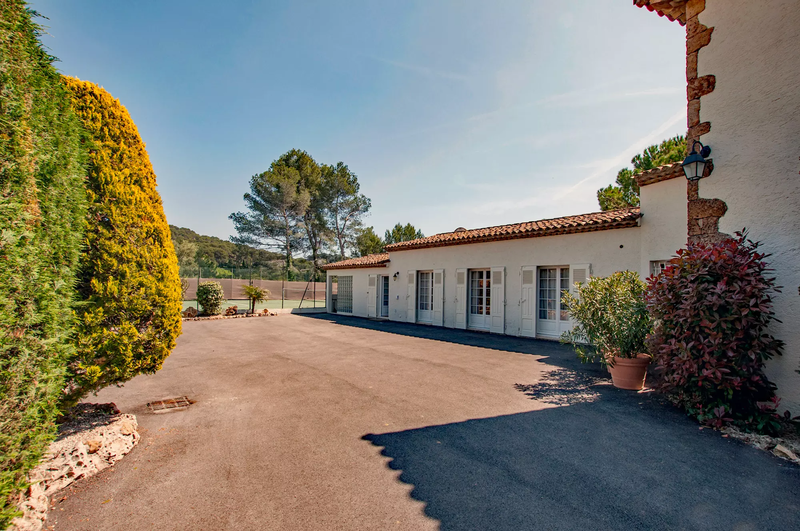 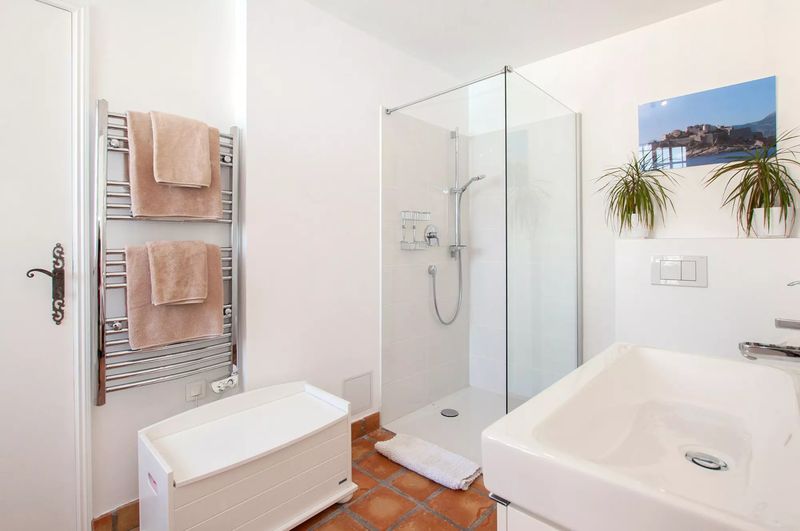 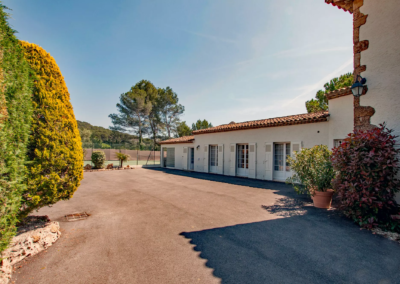 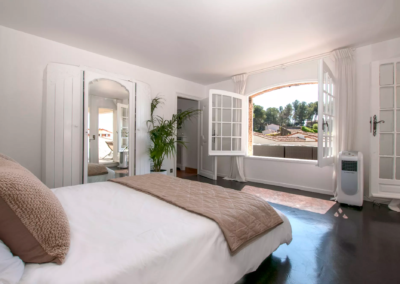 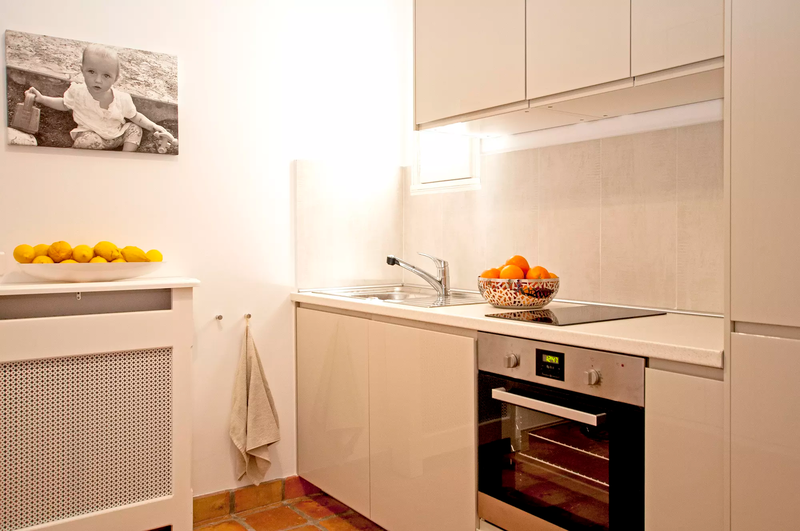 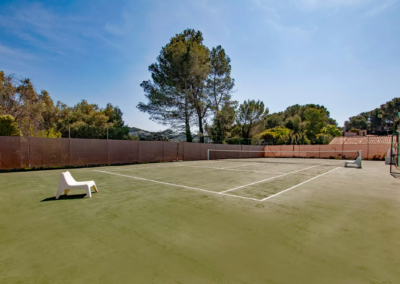 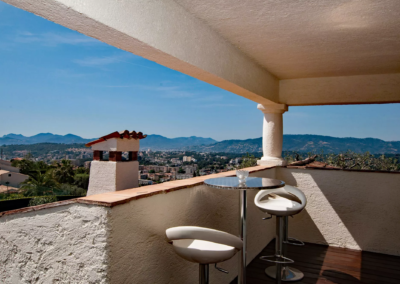 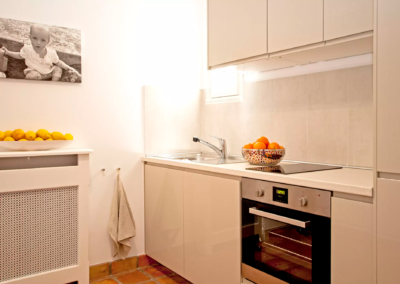 Closeness to the Mediterranean Sea and Cannes, private tennis court.